Beautifully constructed of wood, this 3 story Ryokan blends into Kinosaki Onsen's elegance. 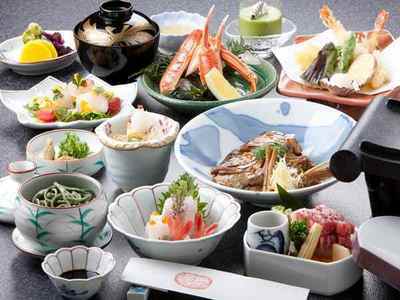 Katsura Kaiseki features “grilled deep-fried Tofu (arranged in contemporary style)” which is Katsura Kogoro’s favorite dish! The name of plan comes from his first name. 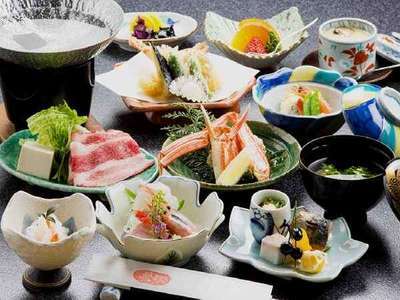 Banquet style course with Tajimi beef shabu-shabu and products from both the sea and mountains.